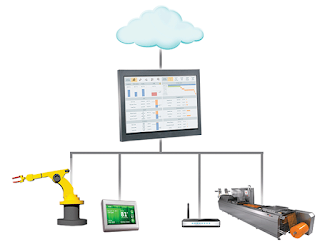 And Check out the Demo Video on Wonderware HMI SCADA YouTube Channel! The Wonderware Language Assistant is an Excel Add-in that improves the management and accuracy of off-line HMI language translation and accelerates the execution and delivery of projects using the Runtime Language Switching capabilities in Wonderware InTouch. Implementing, translating, managing, and updating InTouch applications with multiple languages can be tedious and time consuming. OEMs, System Integrators, and global companies especially need tightly integrated and easy to use multi-language management tools. Benefits include more efficient translation projects that result in improved translation accuracy and consistency, reduced costs and faster project deliverables. Efficiently manages language files exported from traditional InTouch as well as ArchestrA Graphic based applications in a single project. Faster implementation, highly organized, really simple. Translate only once. Translated words and phrases are stored in a Global dictionary or custom ‘industry specific’ dictionaries enabling reuse of translations from project to project. Wonderware Language Assistant automatically finds and translates words and phrases it already ‘knows’. Lowers present and future translation costs. Allows side by side translation of multiple languages. Saves time, improves consistency of translation meaning. Provides sort, filter, search and replace capabilities. Highly flexible, efficient, saves time. After translation, one ‘click’ generates language translation files formatted and ready to be imported into InTouch or Application Server. Simple. Easy access to fields needed by the language translator and protected access to system fields that must be preserved. Fewer mistakes. It’s free and runs in Excel, so customers can give it to as many translators as they like for large projects with short timelines. 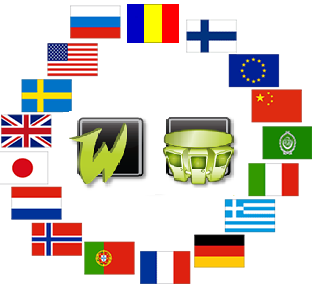 Wonderware Language Assistant enables easy merging of all files. It is compatible with InTouch and System Platform versions 2014, 2012 R2, and 2012. The new Wonderware Language Assistant is a free download from the WDN for InTouch customers, OEMs, and System Integrators. Distributor sales people might also want to download it and incorporate it in their Demos. Check out the Demo Video on the Wonderware HMI SCADA Channel on YouTube. For more information, please contact Gary Nelson – Product Marketing Manager – Supervisory/HMI. Sign up today to get the weekly Wonderware HMI/SCADA Times newsletter at http://situation-awareness.com/ and click on Subscribe and you will be receiving a FREE copy of the recent White paper: “Situational Awareness, The Next Leap in Industrial Human Machine Interface Design”.